Last year's competition at the Gordon Field House was themed FIRST Steamworks. More than 3,500 teams from around the world will be part of the 2018 FIRST Robotics Kick Off, viewing a live, worldwide telecast at 10:30 a.m. Jan. 6. Finger Lakes Regional teams will meet for the telecast in the Performing Arts Center at Spencerport High School. This year’s FIRST Robotics theme takes video gaming and transforms it into a competitive robotics challenge. 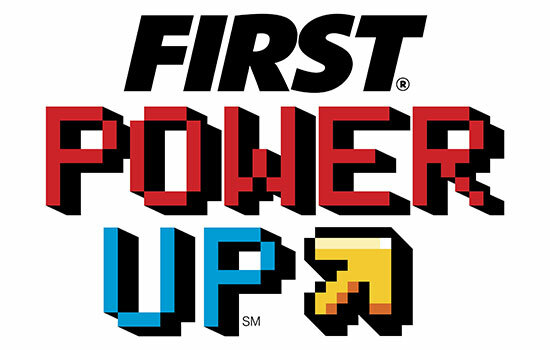 Teams have only had intriguing hints over the past several months of what the new competition game, POWER Up, will entail. 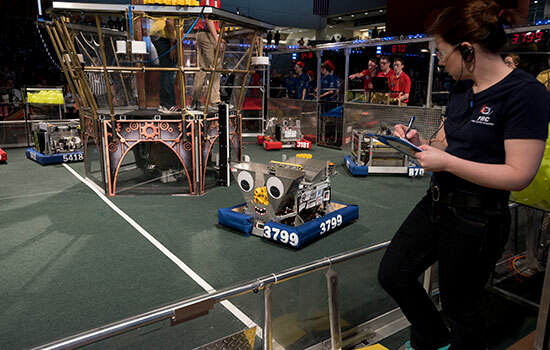 Thirty-six regional teams of student-competitors, mentors and teachers are expected to attend the kick off, the annual opening of the FIRST Robotics competition season where Dean Kamen and members of the organization reveal for the first time the competition game. Regional teams participate in kickoff activities, listen to guest speakers, and after the game reveal, receive the robot kit-of-parts and equipment for the new season. They will also be able to see a demonstration set-up of the competition field in preparation for the regional event. Teams have only six weeks to build their robots. “FIRST Robotics continues to provide student-competitors with interesting challenges, many based on their current interests. Video gaming has exploded today, and we’re looking forward to how this popular activity can be used as a way to encourage students to build 21st century life skills,” said Glen Pearson, Finger Lakes Regional director. The Finger Lakes Regional competition takes place March 16-17 at the Gordon Field House and Activities Center at Rochester Institute of Technology. Of the 36 teams registered, the majority are from New York, New Jersey and Canada. Also registered are teams from Brazil and China. FIRST (For Inspiration and Recognition of Science and Technology), sometimes referred to as a “Sport for the Mind,” began in 1989 to spark interest in science through solving engineering problems in a friendly yet intense competition. Winners from regional competitions across the country participate in the 2018 FIRST Championships April 18-21 in Houston and April 25-28 in Detroit. FIRST holds two championships in order to give more teams a chance to qualify and participate, Pearson explained. Each championship will be open to 400 teams that qualify in local competitions. Winners from the Finger Lakes Regional will compete in Detroit. Both the kickoff on Jan. 6 and the regional event in March are free and open to the public. More information about the Finger Lakes Region FIRST Competition can be found at www.upstatenyfirst.org and www.rit.edu/gcr/firstrobotics.